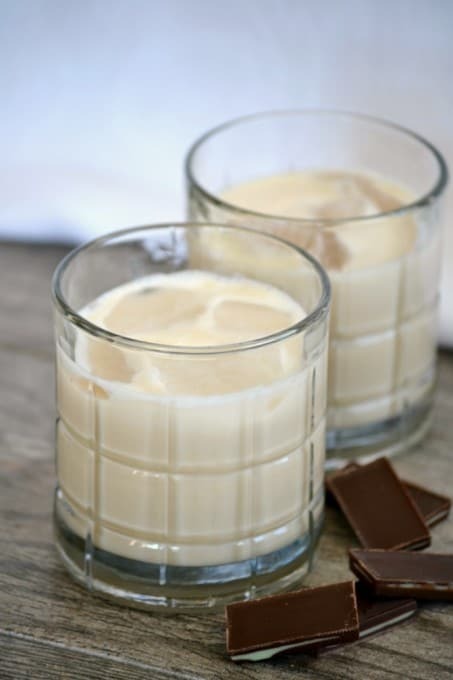 Homemade Bailey’s Irish Cream – heavy cream, condensed milk, a touch of chocolate, some whiskey and Davidson’s Safest Choice™ Pasteurized Eggs make this delicious beverage you’ll be happy to serve to family and friends. It’s the perfect drink to serve for St. Patrick’s Day or the holidays! When I was young, my mother would make me coffee milkshakes. Some milk, coffee ice cream, a bit of coffee syrup (because it’s a staple in any home in Rhode Island – after all, coffee milk IS the official state drink) and…. There were occasions when I’d say I’d want a shake and she’d offer to make it for me or sometimes she’d just bring it up out of the blue. I certainly wasn’t going to pass one up! Now, I love and I mean LOVE my coffee shakes and in hindsight I now realize it was a bit odd that she always said, “go sit in the living room and I’ll make it for you”. There was a method to her madness. As a loving mother, you always want the best for your children, and providing them with good nutrition is part of it. I understand that and there’s no doubt that she loved me. But did she realize that with the consumption of raw eggs meant she could have been doing more harm than good? Maybe she thought the good far outweighed the bad. After all, it was the late 70’s / early 80’s and I don’t think people paid too much attention to salmonella. However, I do know she wouldn’t have intentionally done anything to jeopardize my health. She was probably only trying to put a little meat on my bones since I was a bit on the thin side. She was busted one day when I walked in on her just as she was cracking the egg into the blender. Boy, but those coffee shakes sure were delicious. Now, with Davidson’s Safest Choice Pasteurized Eggs I can crack an egg into my own coffee shake. With these eggs, we don’t have to worry about salmonella health risks, and that really excites me! Even though they’re older, my kids (or even ME! OOh, and future grandchildren should I ever be graced with any) can lick the beaters when I’m making some sweet treats, too and not have to worry about becoming sick. 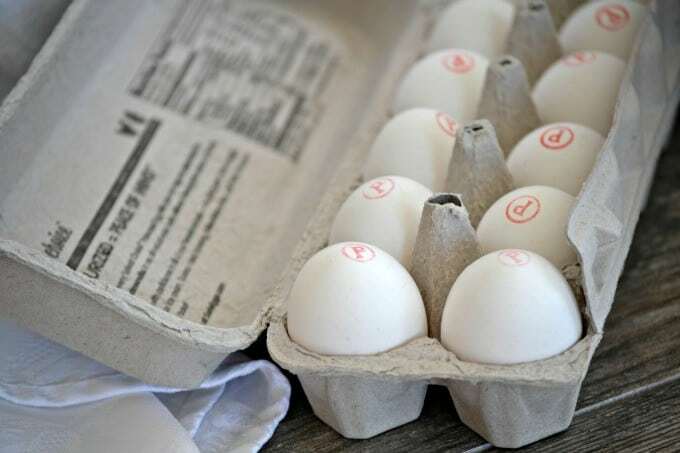 You’ll be able to tell that your eggs have been safely pasteurized before you take them home by opening up the carton at the store and seeing their mark on each egg. Please take a look at the Davidson’s Safest Choice™ Pasteurized Eggs website to learn more if you’re not yet familiar with them. You can follow them on Facebook, Instagram, Pinterest, Twitter, and YouTube. You can also use their store locator to find out where you can find them in your area and search for more great recipes using eggs you can feel great about serving your family! The possibilities with these eggs are endless! I’m excited to make recipes I’ve been hesitant to because they called for eggs that hadn’t been cooked. Case in point, the recipe card pictured above is this Bailey’s recipe from my Grandmother, circa 1960. Needless to say that it’s been sitting in my recipe book for years. 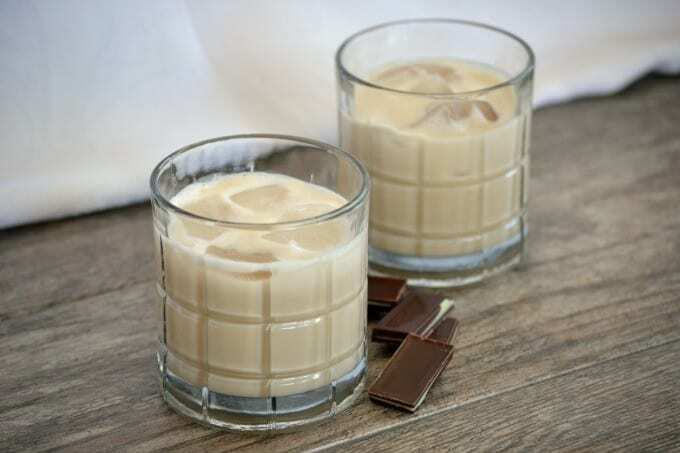 Enjoy your Homemade Bailey’s Irish Cream this St. Patrick’s Day or on any holiday thanks to Davidson’s. 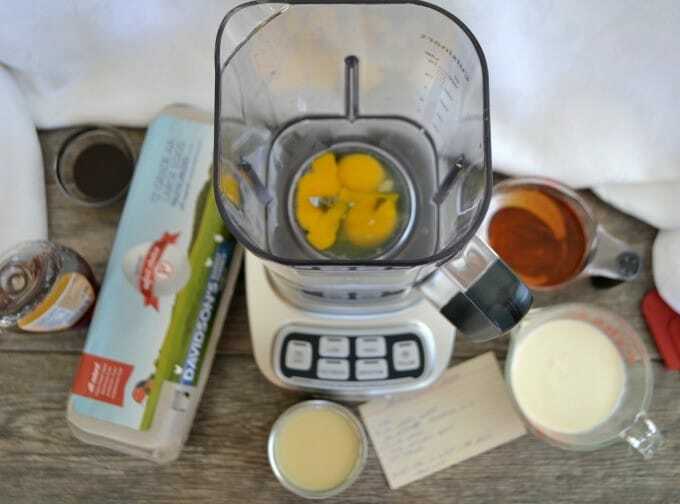 Blend the eggs in the blender. Add the other ingredients and blend until well mixed. Serve alone over ice or with other beverages. Store in an air-tight container and keep refrigerated for up to one week. Try making these Bruléed Eggs for breakfast! I am proud to be partnering with Davidson’s Safest Choice™ Pasteurized Eggs to bring you this post. I have been compensated, but as always, all opinions are 100% my own. Thank you for reading and supporting those brands that I believe in so that I can continue to bring you great content and delicious recipes here at 365 Days of Baking and More! 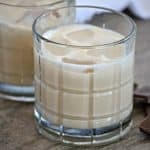 I crave Bailey’s Irish Cream every now and then and have always wondered how to make it from scratch!! I remember when I was kid seeing or reading about fitness fanatics eating raw eggs for protein, how times have changed! I can only image how rich and delicious this tastes! I had no idea how easy it was to make Irish Cream myself! My hubby always drinks it when we watch “the Bachelor” (it’s the only way he gets through it with me) so I’ll MAKE him some next week! Pinned! This could be dangerous! 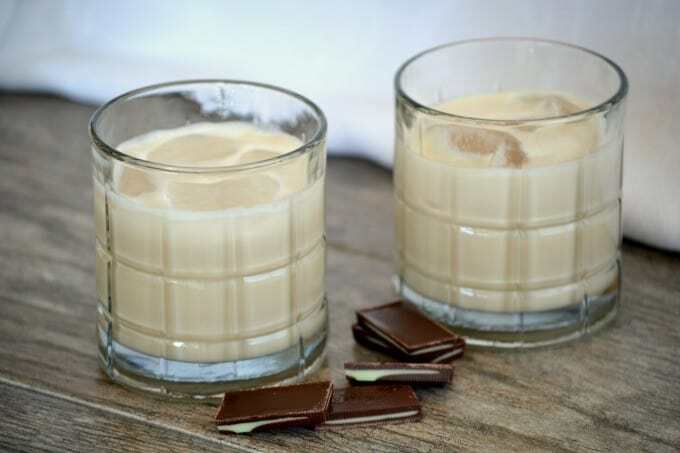 I love Baileys Irish Cream and I have to imagine this homemade version with pasteurized eggs is even better. It’s been a common thing in ages past to add an egg to a milk shake for better nutrition, adding protein, etc. My mom talked about it in the Depression days. When my grandmother had dementia and wouldn’t eat much, my grandfather would make her chocolate malts with an egg. I don’t do it mostly because there are other things on the market nowadays. Glad you like your Davidson eggs. For me, I go for the cheapest I can find. Let’s make cocktails with this ASAP! Thanks so much Archana. Hope he likes it!